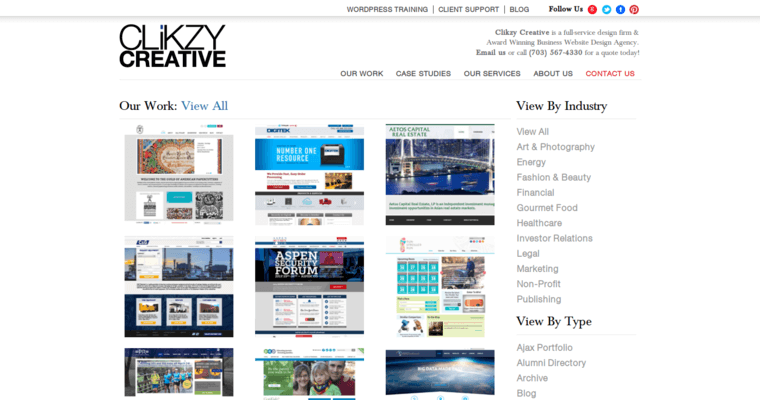 CliKZY Creative has received such high ranking due to their outstanding website design time and time again. 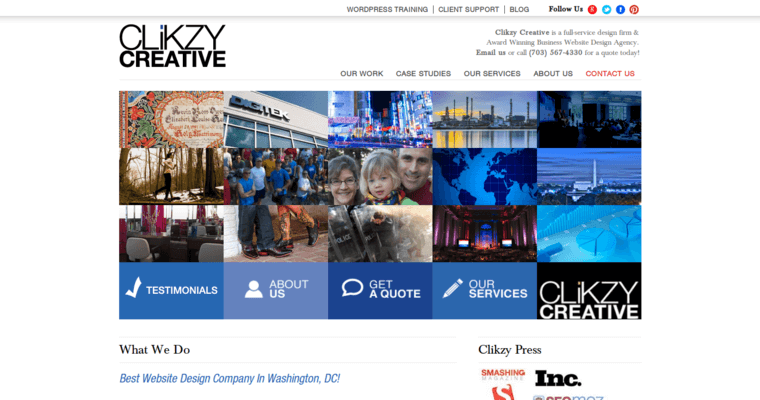 Being from the Washington D.C. area, CliKZY Creative has provided services to both local residents and companies from all regions around the world. They have worked with small companies that are just getting started with a fresh website, to developing larger projects for large companies that want to switch to something more modern. They work with you to come up with a development plan to create a website exactly how you want it with a professional tweak to it. Not only are they able to design the website itself, but they market it across the Internet to get it booming with traffic as soon as possible. ECommerce website design is also an option if you plan on selling items from your website, allowing you to profit off of this project taht CliKZY Creative is creating for you.